Denver’s LoDo, or Lower Downtown District, covers 23 blocks where the city got its start in the 1800s. The area had declined into a skid row before revitalization in Larimer Square in the 1960s spread several blocks to the northeast in the 1970s and 1980s and then moved northwest into LoDo in the 1990s. Denver was founded in a square mile centered on what would become Larimer Square as the Colorado Gold Rush brought prospectors, miners, merchants, and land speculators to the area in the 1860s. Denver emerged as the supply hub for the mines in the mountains and boomed, expanding in every direction, including into the area that would become LoDo. The silver crash of 1893, however, led many of the mines to close. Denver was hit by the decline but survived because it had established itself as a regional trade center. By the 1930s, however, urban decay had left blocks of pawnshops, bars, and flophouses in parts of downtown Denver, including the area that would become LoDo. City voters responded in 1967 by approving plans by the Denver Urban Renewal Authority to demolish and rebuild 30 blocks in the downtown area, and those plans proceeded, with blocks sitting empty for years and then being transformed by new development. LoDo sat northwest of the redevelopment area and was largely untouched, losing just a fifth of its buildings to demolition while 127 historic buildings remained standing, many of them multi-story brick warehouses. LoDo is roughly bordered by Speer Boulevard, 20th Street, Wewatta Street and Market Street. The redevelopment of Larimer Square and the construction of new mixed-use projects where buildings had been demolished nearby spurred redevelopment efforts in LoDo in the 1980s that took advantage of the area’s historic character. One of the pioneers was John Hickenlooper, who led the creation of the Wynkoop Brewing Co. in 1988 in the J. S. Brown Mercantile Building, which had been built in 1899. Hickenlooper later won election as Denver’s mayor and Colorado’s governor. Another of LoDo’s highlights is the Oxford Hotel, which opened as Denver’s first hotel in 1891 and has been thoroughly renovated in its Romanesque glory. The Lower Downtown Historic District was formed in 1988 to encourage the preservation of the historic buildings. The city also passed a zoning ordinance that limits building heights, encourages mixed-use development, and sets strict design guidelines for rehabilitation and new construction. 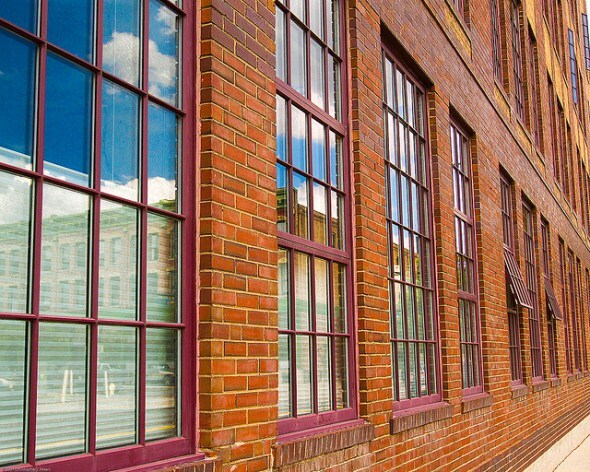 Those efforts set the stage for the redevelopment of LoDo’s historic buildings so that they housed retail stores on the ground floor and a mix of offices, apartments, and condominiums on the upper floors. LoDo also got a boost with the opening of two major sports facilities on the edge of the historic district. Coors Field debuted in 1995 as the home of the Colorado Rockies, and the Pepsi Center opened in 2000 as the home of the Denver Nuggets and Colorado Avalanche. Both projects drew clubs, bars, and restaurants into neighboring LoDo.